The rustic movement of the mid-nineteenth century was characterized by designs that were made to look like they were from the country. Elegant and slim curved lines in furniture gave way to bulkier and heavier forms made from pieces that came directly from the trees often with the bark still intact. Homes, cabins, and garden houses were designed in the rustic style eschewing classic designs. 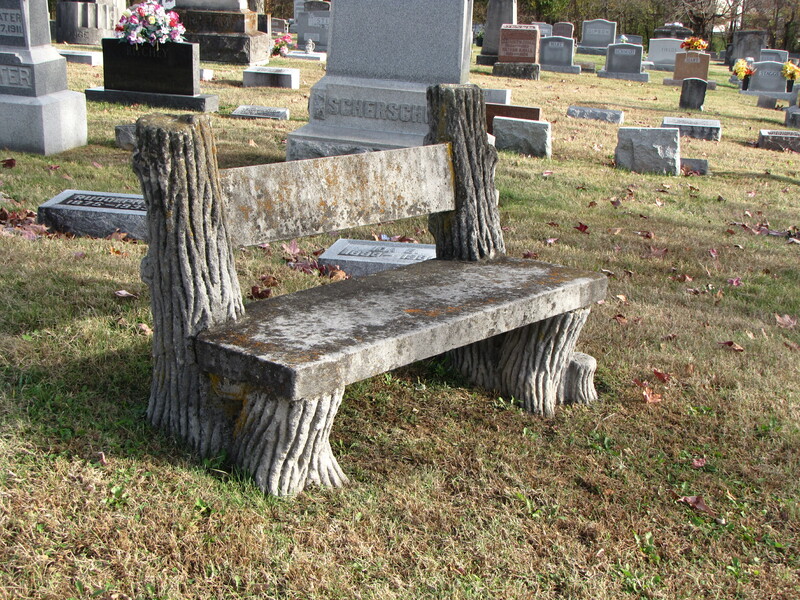 In decorative furniture this often took the form of chairs made from rough tree limbs curved to form arms and chair backs, chair legs made from tree roots growing upwards. 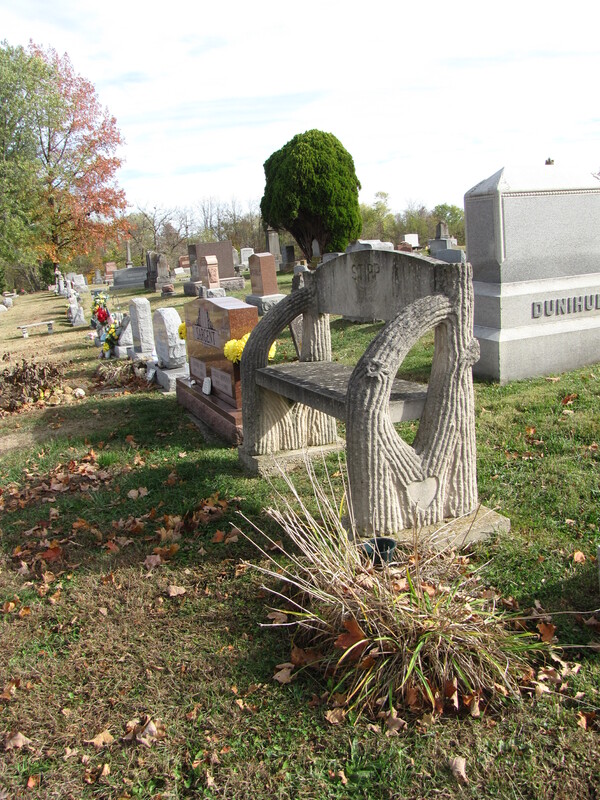 Stonecutters displayed a wide variety of design as can be seen in this selection of graveyard benches in the Greenhill Cemetery at Bedford, Indiana. 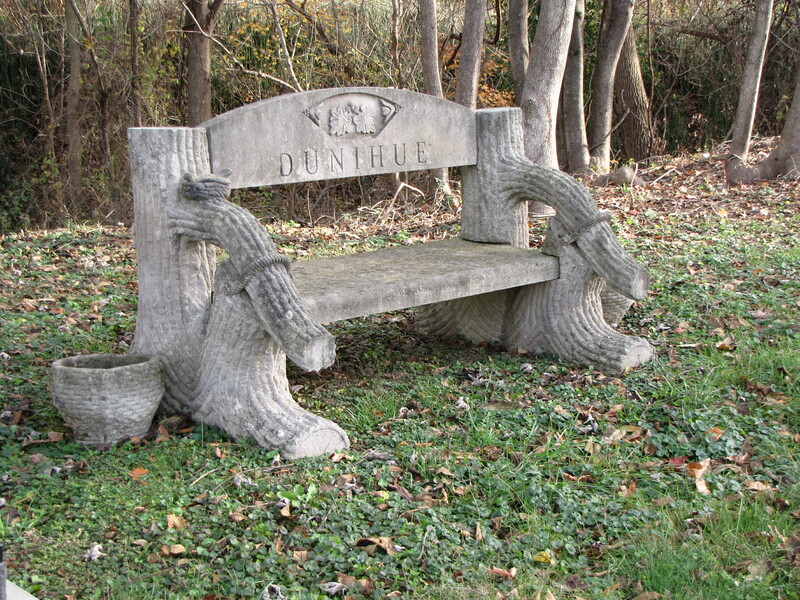 Note the mushrooms carved into the bench–can you spot them? 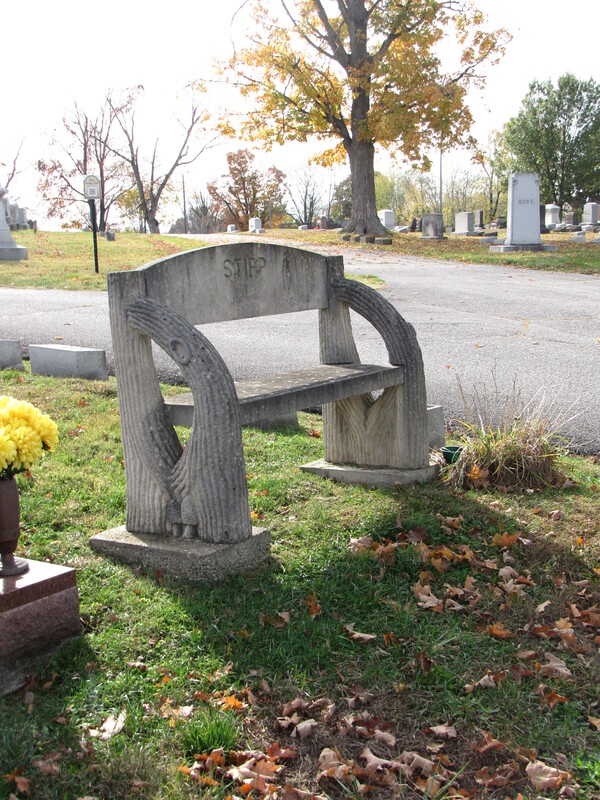 Note the heart shape carved into the bench. This entry was posted in Treestump gravestones, Uncategorized. Bookmark the permalink. When I was a little kid, we had a summer house on the Cuivre River that was furnished in “rustic tree furniture” …although the chairs had big cushions, I found them very strange and uncomfortable! 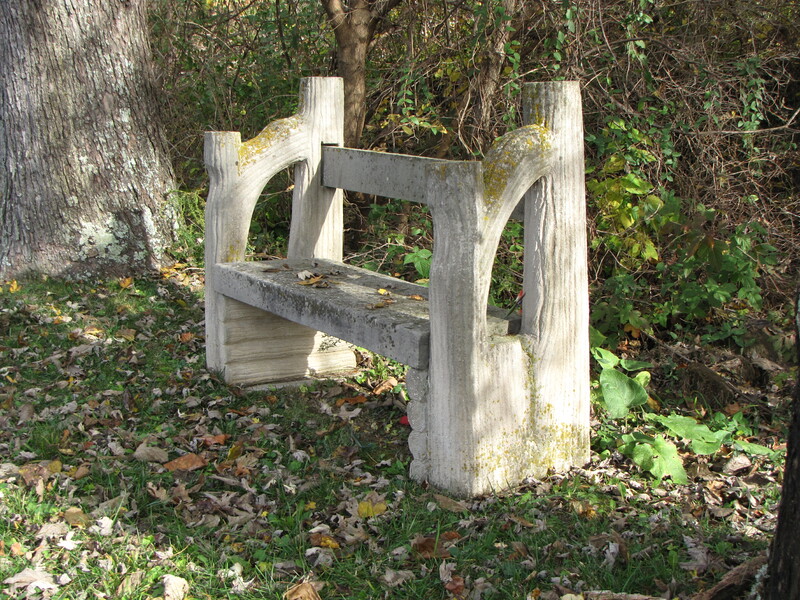 What a great collection of “tree benches” you’ve found!